Nicholas Negroponte's One Laptop per Child (OLPC) Foundation and the e-ink screen tech wizards at Pixel Qi Corporation have signed a permanent and royalty-free cross-licensing agreement which allows both organisations to share and use their laptop screen innovations in the future. Pixel Qi has been developing some interesting dual-mode displays recently, which we've seen a glimpse of in devices such as Notion Ink's Adam tablet PC – which effectively lets you switch between e-ink (readable in full sunlight) and a traditional backlit LCD screen (for multimedia, video, web surfing and so on). Pixel Qi's Mary Lou Jepson developed part of the new 3Qi screen tech while at OLPC, and she is one of the driving forces behind the development of the tech – responsible for this latest cross-licensing agreement on all future and current IP covering multi-mode screens between OLPC and Pixel Qi. OLPC now has full license to all Pixel Qi "3qi" screen technology, including 70-plus patents in process and all current and future IP developed by Pixel Qi for multi-mode screens. 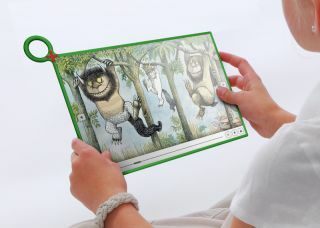 Pixel Qi in turn receives full license to the dual-mode (indoor and outdoor) display technology used in the OLPC XO. Nicholas Negroponte notes : "We are not aware of any blanket technology license of this scale of current and future inventions by a commercial firm to a non-profit humanitarian effort and hope to set an example for other corporations to follow."